Samsung has never been shy about having multiple SKUs for what is essentially the same product, but you’ve got to hand it to the Galaxy maker when it does something a little different with one of those SKUs. 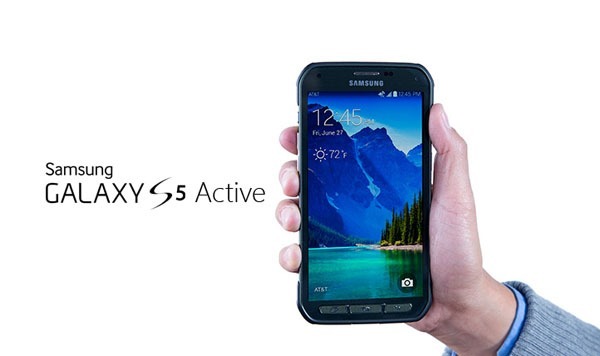 The Galaxy S5 Active is one such example. While the standard Galaxy S5 offers water-resistance as well as being surprisingly repellent to dust and dirt, some people just need something a little more industrial. The Galaxy S4 Active offered that for the smartphone user with a need for something more hardy than its non-Active brethren, but with the S5 sporting a more solid construction, the need for an Active variant wasn’t immediately clear. Someone at AT&T apparently disagreed. 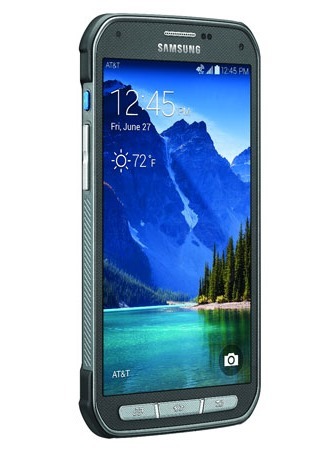 Available via a multitude of AT&T plans with an on-contract price of $199, the Galaxy S5 Active certainly looks the part. For all intents and purposes it’s still a Galaxy S5 – a 5.1-inch 1080p Super AMOLED screen, a 2.5GHz quad-core CPU, and a 16-megapixel shooter – but with added oomph. That is, the Active is apparently shock-resistant, presumably thanks to all that padding they’ve added to it. In fact, that comment probably isn’t very fair. Yes, the Active is certainly more rugged in appearance, but it’s not of the same ilk as some of the ruggedized phones of yesteryear, where you’d need three strong men and a tow-truck to carry it around. 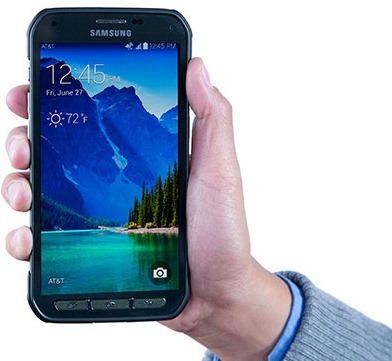 The Galaxy S5 Active is a surprisingly nice phone to look at, in an Arnold Schwarzenegger kind of way. If you like your smartphones to look like you could throw them down the stairs without fear of them breaking, then this will fit the bill without looking like it was designed by JCB. That heavy-duty chassis does have one feature other than making the phone more sturdy. There’s a built-in ‘convenience key’ on the side of the device that will launch apps designed to be used in the wild. We can only assume that means you’ll get an app that tells you how to survive in the wilderness for a month while living on insects. Or something. 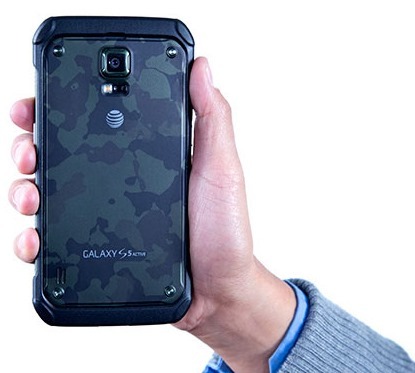 The AT&T Galaxy S5 Active is available now, and there’s no word if it will be available internationally. But our gut feeling says that it will be.